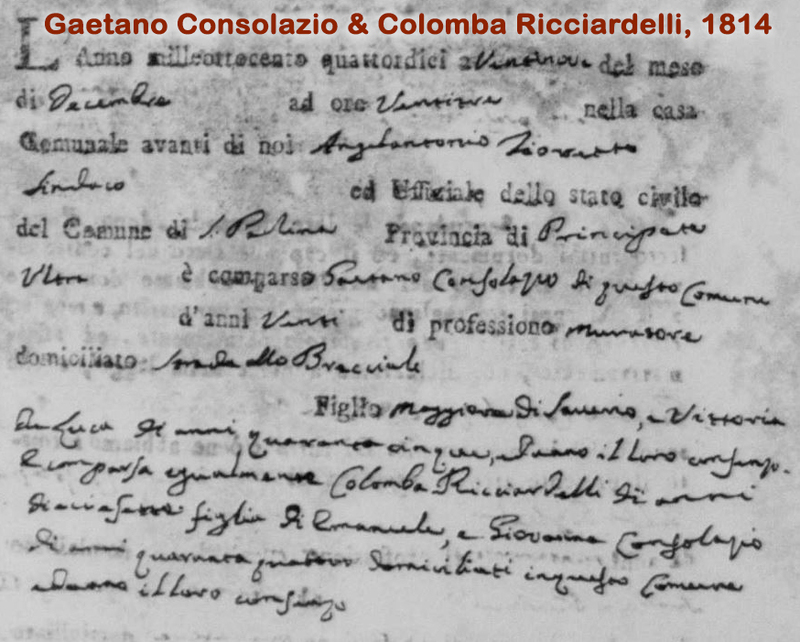 I'm transcribing an enormous collection of vital records for my genealogy research. Here's why I'm not nuts for doing so. 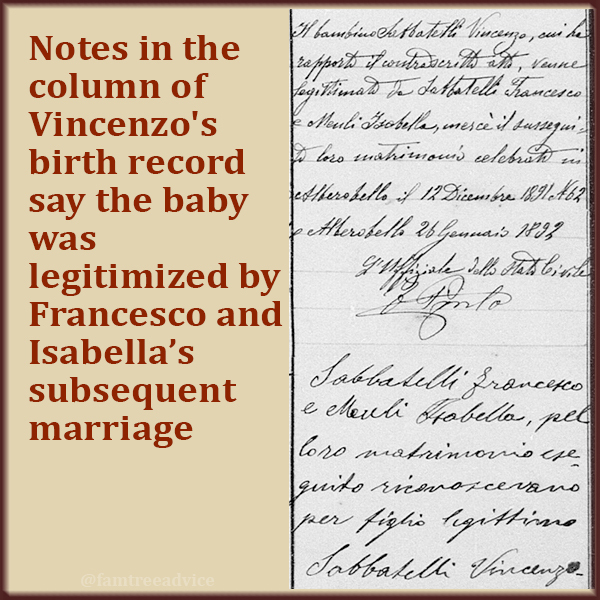 If your ancestors came from a small town, there was most likely a ton of intermarriage going on. 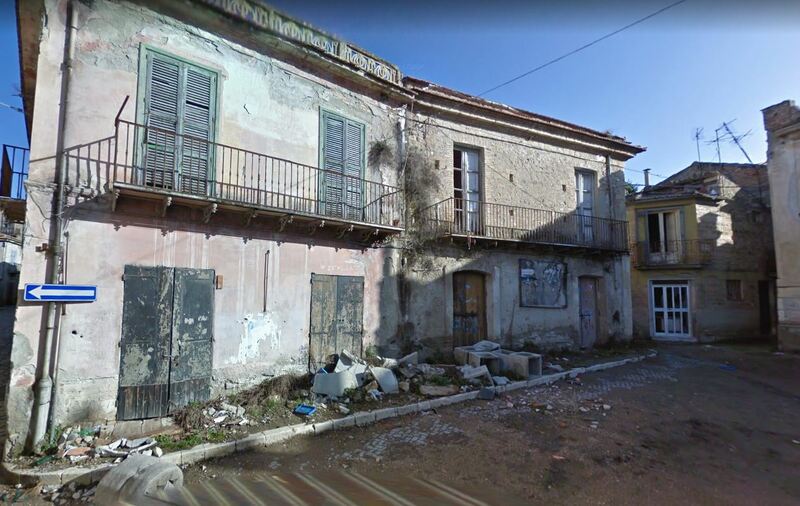 And it's very possible that families stayed in one town for hundreds of years. Some may have moved to the next town to marry. Because my roots are almost entirely in 5 little towns there, I've begun an ambitious project. This massive project will connect me to thousands of relatives. 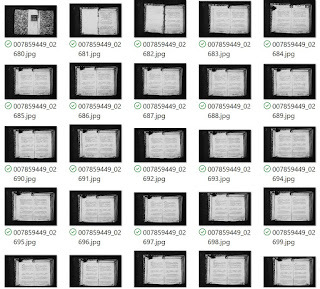 Here's how I've been using these document images so far. 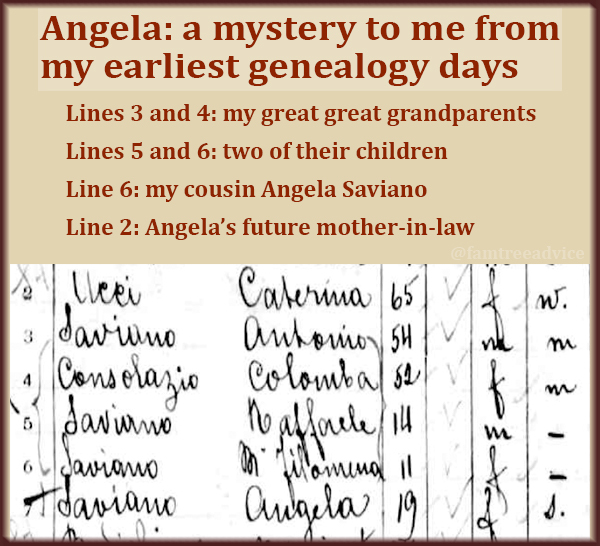 First, I located the vital records for my closest ancestors: my grandfathers, all my great grandparents, and their parents. I put these images in my family tree software. Next, I began searching for other babies born to my ancestors. 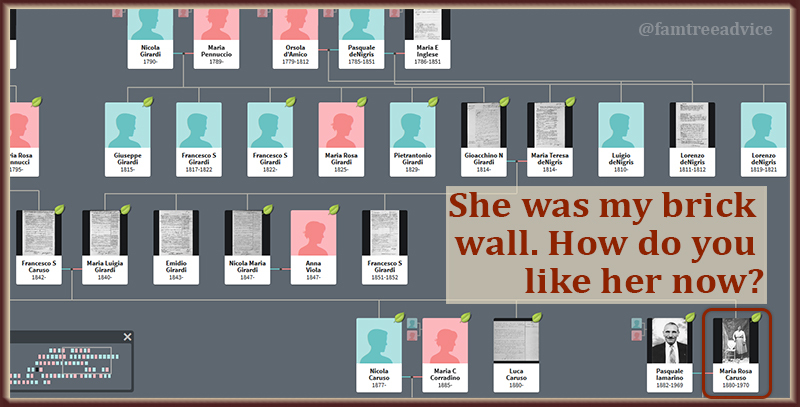 I put their facts and documents images in Family Tree Maker, too. The thing is, I know there are countless relationships to me waiting to be discovered. 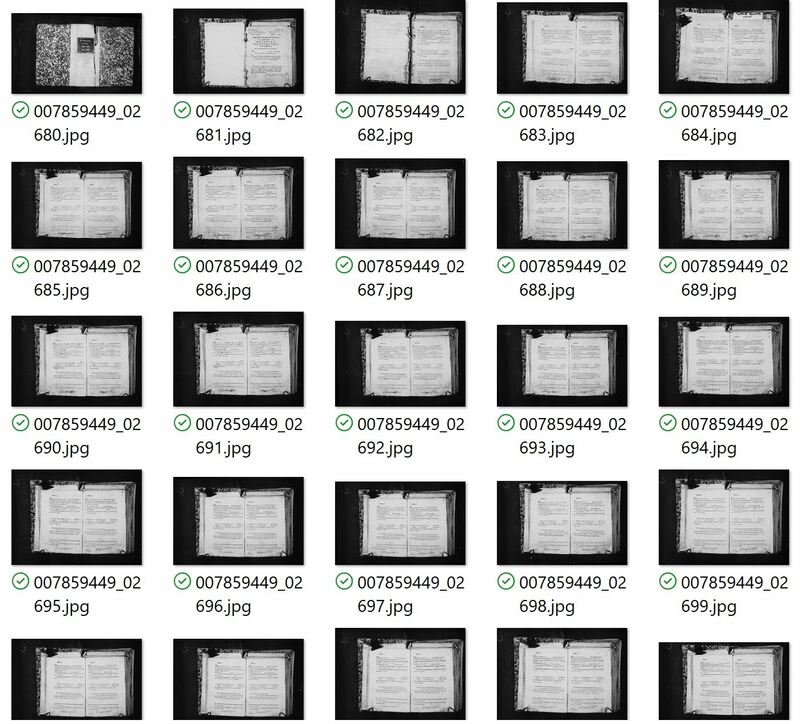 That's why I want to put each image's facts into a searchable, sortable spreadsheet. Each time I discover a relative, I put that image in my tree and color the spreadsheet line green. That lets me know I've already found that relationship. After typing the names, dates, and places from 1,000s of documents into an Excel file, I realized 3 powerful benefits to this seemingly insane project. What do you mean, you can't read this? 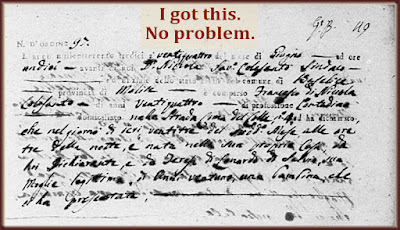 With repetition, even if the quality of the document or the handwriting are awful, you'll recognize names in a heartbeat. Excel has an AutoComplete feature that's proving very helpful. 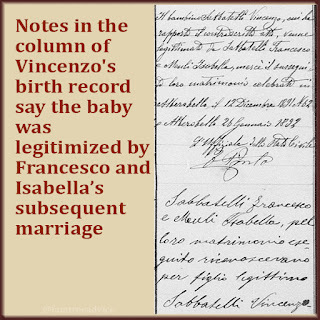 As I enter several years' worth of birth records, couples are going to show up, having another baby every couple of years. Thanks to AutoComplete, as I begin typing the father or mother's name, I can see that I've entered their name before. Sometimes I may be unsure of a name. There's could be a blotch on the page, or ink may be bleeding through from the other side. But as I start typing, the name I'm about to type appears in AutoComplete. That's a confirmation that I was making the right choice. Normally, to find a particular person, I have to look at the files for each year. I go to each year's index and try to find the name I need. 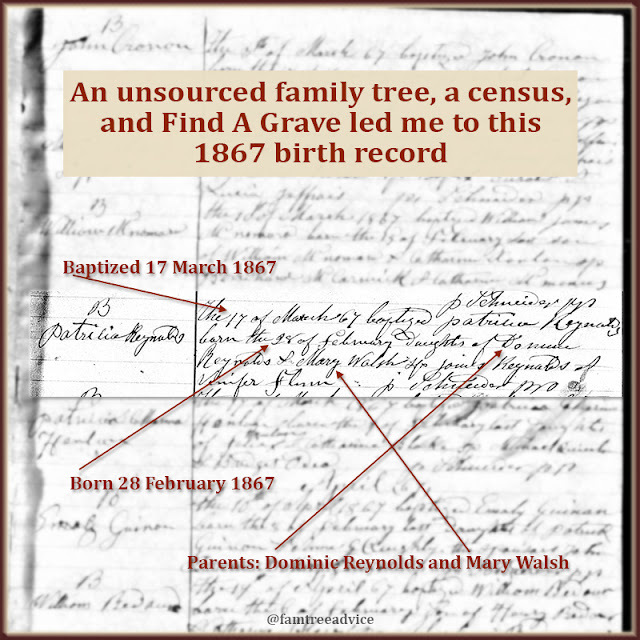 But with all the facts—names, dates, ages, occupations, addresses—in a spreadsheet, searches are faster than any genealogy site's search function. No online connection needed. My spreadsheet inventory of all my ancestral towns will be the single greatest genealogy database for ME. 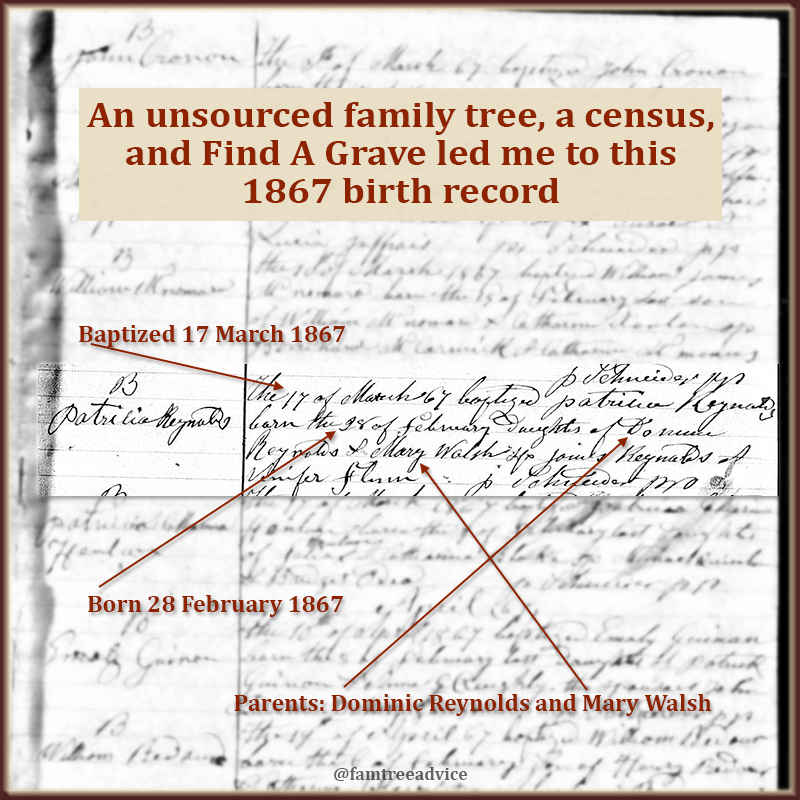 What can you build for your family tree research? 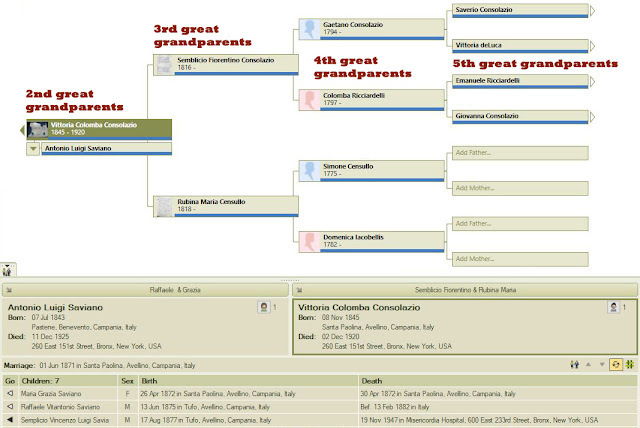 Are lots of distant female cousins dead ends in your family tree? Here's some help. How great is it when an elderly relative can tell you the married names of all the women in your family tree? Or the maiden names of all the in-laws? These women are in your tree, but your research on them is stuck. You have to be more of a detective to find out who those young ladies married. Or what their maiden name was. Here are a few tools to help you find out. Using examples from my family tree, I'll show you how these 5 resources led me to missing married or maiden names. 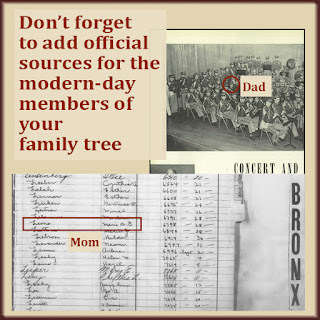 Make sure you search for every possible census form for the family you're researching. Sometimes an elderly parent will come to live with the family. 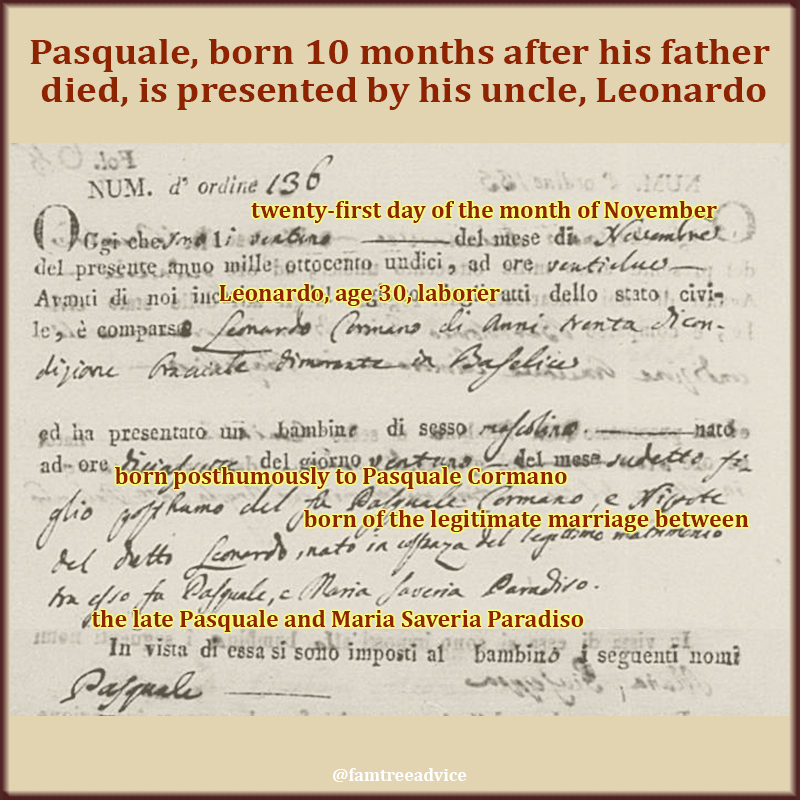 If that parent is the head of household's in-law, they'll have the maiden name of the head of household's wife. Check the census to see if her parents are living with her. 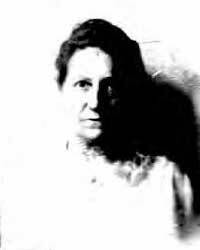 Catherine Theresa Leone, born in 1917, was my mother's 2nd cousin. 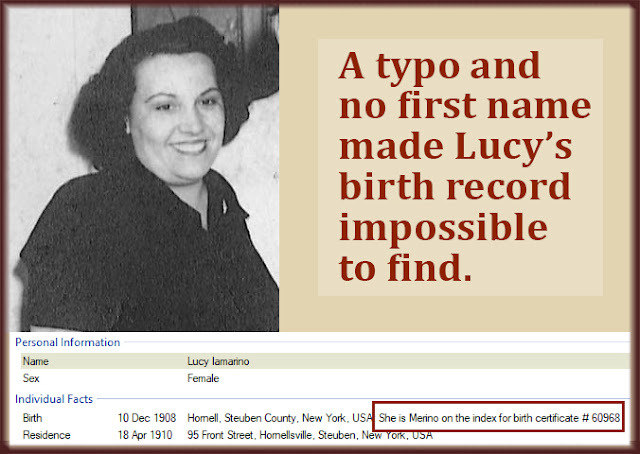 I found her in the U.S. and New York State Censuses for 1920, 1925, 1930, and 1940. She was only 23 in 1940, so it isn't surprising that she was still living with her parents. Dead end, right? No! A simple search brought up her record in the U.S. Social Security Applications and Claims Index. I know it's my Catherine Theresa Leone because the index lists both her parents' names. They match what I already knew. 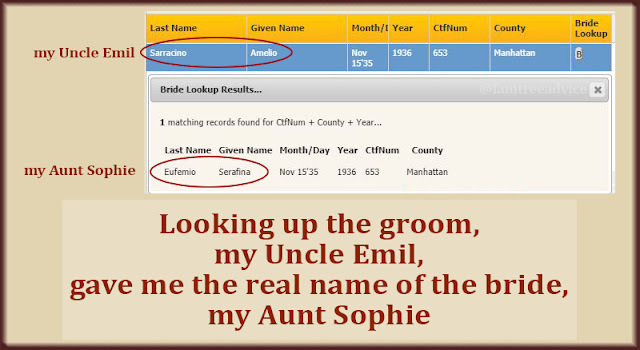 I never knew my Aunt Sophie's maiden name. Without her maiden name, I can't find her parents or siblings. Fortunately, almost all my recent ancestors married in New York City. 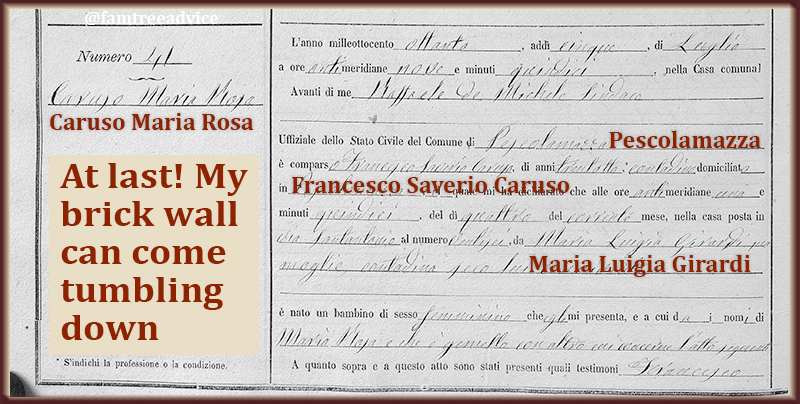 I can use the Italian Genealogical Group's online database to search for my uncle's marriage to Aunt Sophie. I entered his name into the Groom's Index and found him. The listing gives me the marriage date and certificate number in Manhattan. When I click the Bride Lookup link, there's Aunt Sophie's real name: Serafina Eufemio. 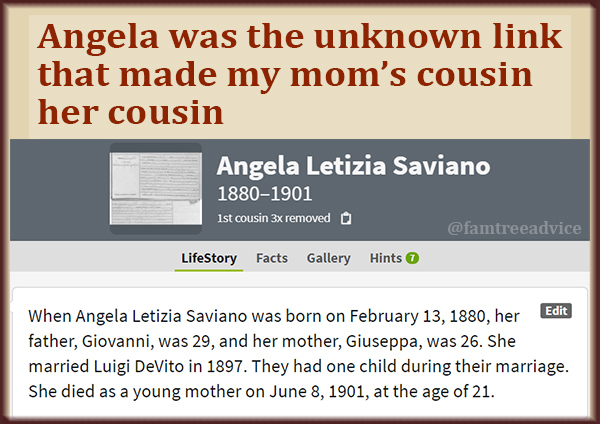 With that name, I was able to find Aunt Sophie earlier in her life, living with her parents and siblings. Search marriage indexes to find out who she married...or who he married. She moved from New York to Florida in 1974, but she died in New York. She married twice, and had converted to Judaism for her 2nd husband. Her 2 sons' names, and their different last names. The married name of her 2nd husband's daughter. Her 2nd husband died before her. A more detailed obituary can tell you the names of siblings and their spouses, children and their spouses, and grandchildren, too. 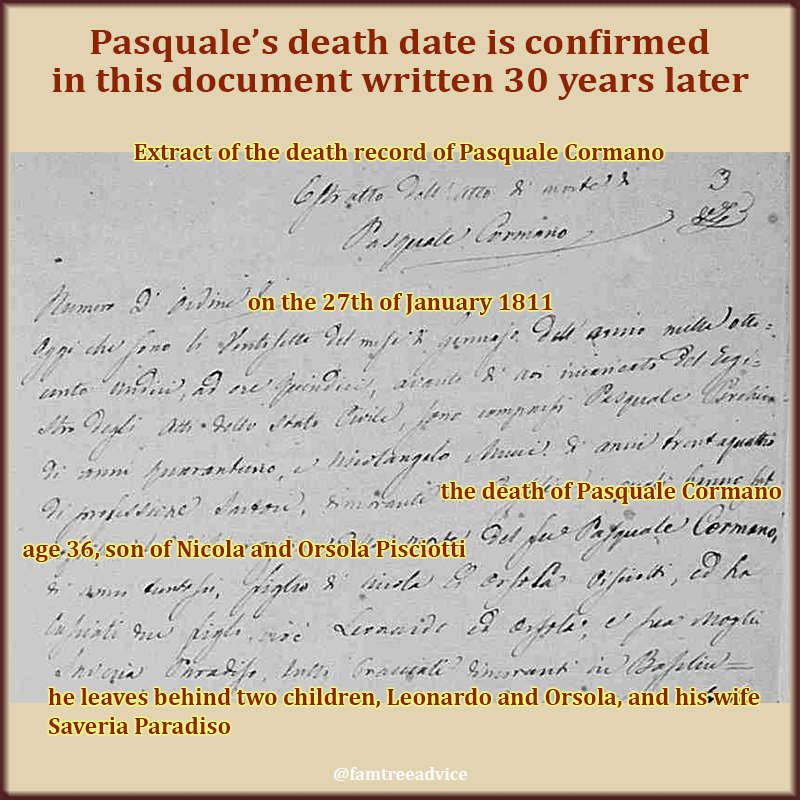 Even if the woman you're researching is still alive somewhere, you might find an obituary for one of her parents or siblings. Emma Leone, born in 1906, was also my mom's 2nd cousin. 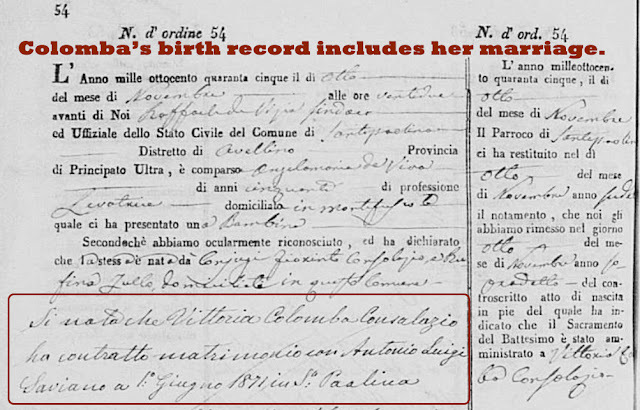 She was living with her parents on census forms through 1930. It was a DNA match—Emma's son—who told me who and when Emma married. 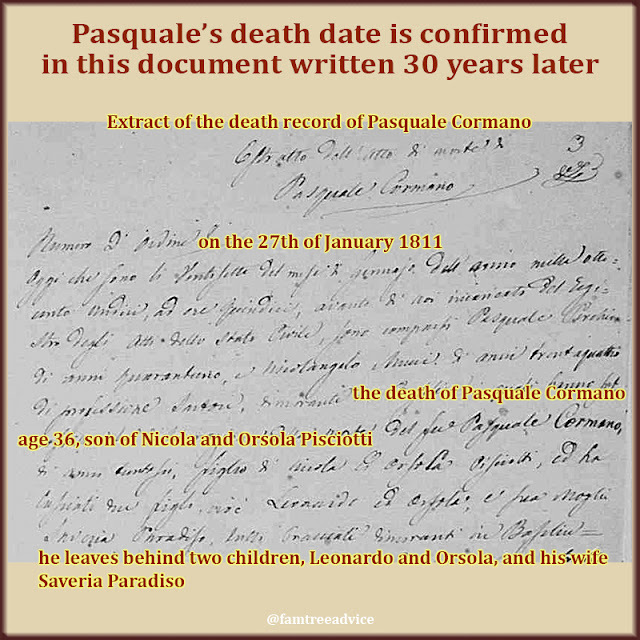 With her married name, I was able to find her Social Security death records. 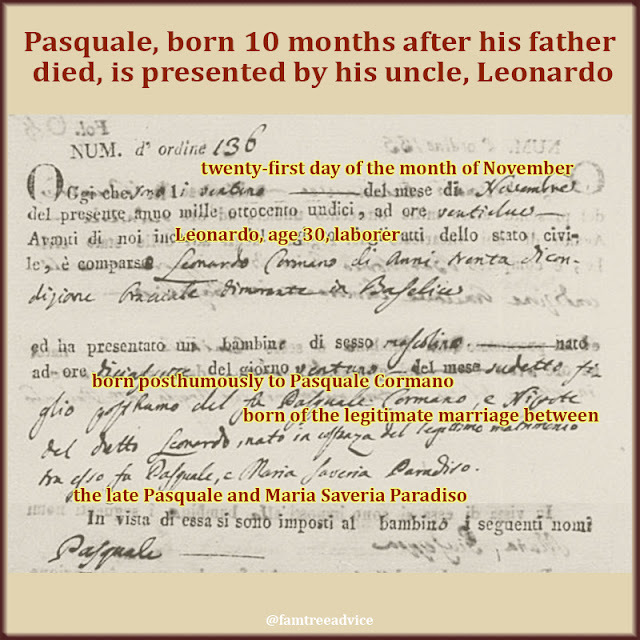 These contained her birth date, which matches the 1906 birth index listing for Emma Leone. 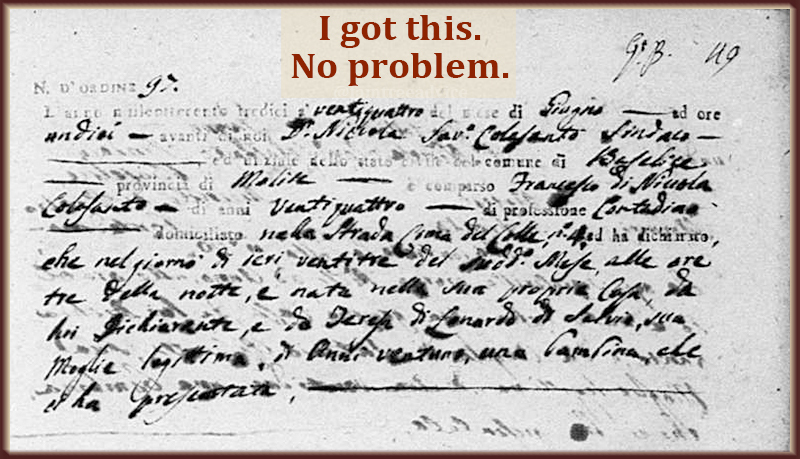 One big caveat to finding facts in another person's tree: That's not proof. 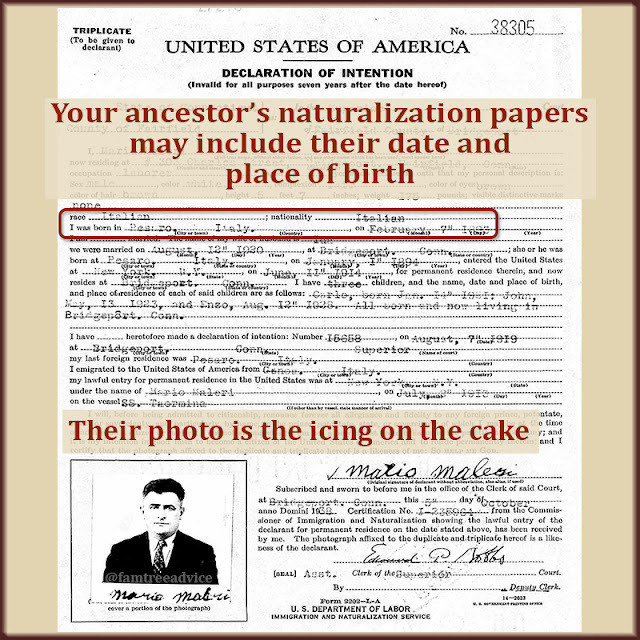 You must find documents to support the details you find in anyone else's tree. An obituary tends to be more reliable, but may contain errors. 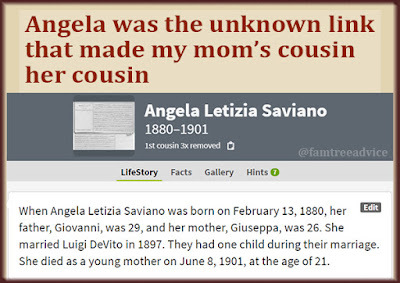 My own first cousins didn't know our grandmother's maiden name. They had it wrong in their mother's obituary. 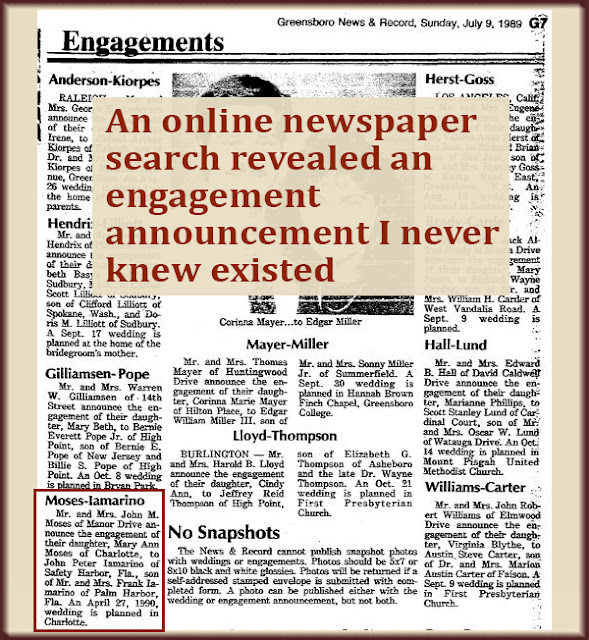 When my sister-in-law wrote her father's obituary, she knew no one's names but her aunt and grandparents. Whatever evidence you do find, take it as a clue, but don't take it for granted. All the clues I've mentioned in this article were details I was able to support with other evidence. Don't give up on the ladies. They're the reason we're all here.